Are you concerned about your child’s overall mental, emotional, behavioral and/or social development? Does your child seem to not be developing in the same way as his/her peers? When children and adolescents are not meeting developmental milestones, are having difficulties socializing, and/or displaying challenging behaviors, an in-depth evaluation provides the answers you need to help your child get supports and resources to help them thrive. 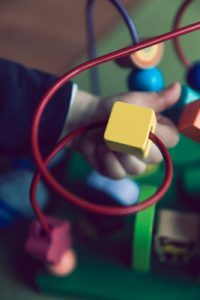 Difficulties associated with Autism Spectrum Disorders and other Developmental Disorders overlap with a wide range of disorders and diagnoses. Obtaining an accurate diagnosis is the first step in moving forward to make sure your child is obtaining services and accommodations that serve his or her needs best. Development is a complicated unfolding of interwoven and overlapping biological, cognitive, emotional, behavioral, and social processes. We specialize in using the most well-researched testing tools to uncover these developmental processes and help put you and your child on the path to reaching full potential. After receiving an accurate diagnosis, or if you have already undergone an in-depth evaluation, we can work with you and your child to develop the strategies needed to feel happy, successful, and connected to others at home, school, and in the community. We work to help families implement these strategies across the child’s contexts so that positive change happens as fast as possible, with long-term results.